In 1918 the newly consolidated school district provided an education to all students from first to twelfth grades. As enrollment increased to 700 students, a modern school bus transportation system was begun. A small-town rural atmosphere prevailed even as businesses increased, including three small thriving airports. When the stock market plummeted in 1929, the Great Depression arrived and Bloomington citizens were as shaken and affected as the rest of the nation. The Works Progress Administration (WPA) and Social Security helped people to have hope for their futures. When World War II was declared, both men and women joined the armed forces, proudly representing Bloomington. At war's end, peace medals were awarded to those who served. The community's population had reached about 5,000. 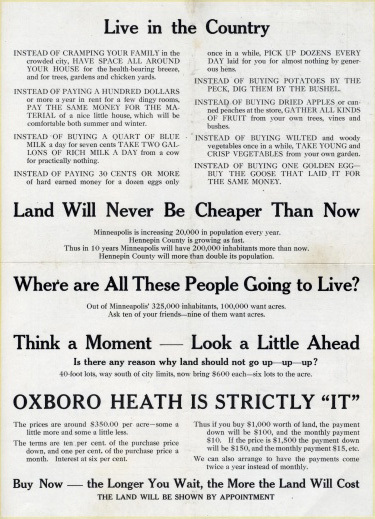 Oxboro Heath advertisement offered tracts from one to twenty acres in Bloomington. Billed as "Live in the Country," tracts were priced at $350.00 per acre. 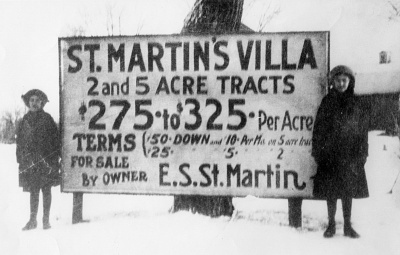 St. Martin's Villa sign shows two to five acre lots for sale by owner E. S. St. Martin. 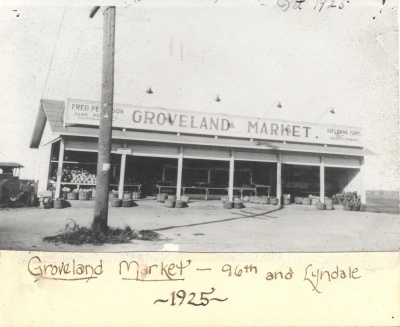 Groveland Market at 96th and Lyndale 1925. 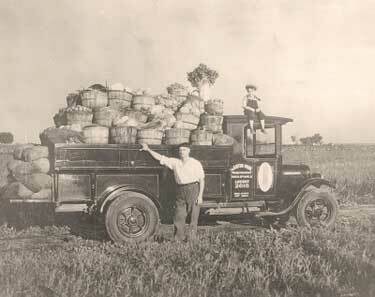 Martin Pahl with his father's truck loaded with bushel baskets of vegetables, asparagus, potatoes, squash, etc., about 1926. There were a number of truck farms in Bloomington. 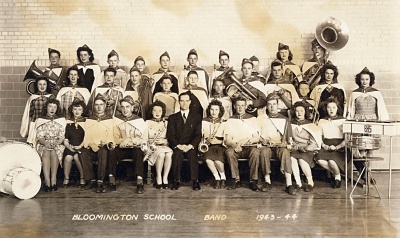 Bloomington school band, circa 1943-44. 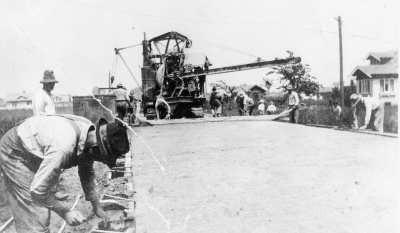 Paving Old Lyndale Avenue around 102nd Street, about 1918. 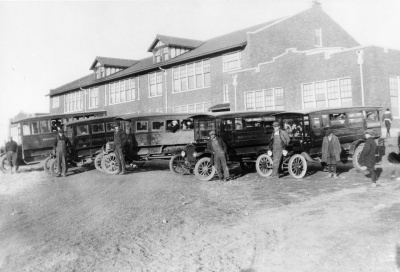 Bloomington Consolidated School with school buses and drivers about 1918. Five rural schools were merged to form Bloomington Consolidated District 142. Located at 10025 Penn Ave. S., it was the beginning of secondary education. 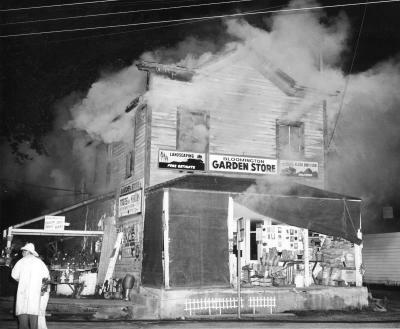 Fire destroys the Baillif store, 1958. This building was used as a general store, post office and telephone exchange. Later it housed the Olson's grocery store and the Bloomington Sun newspaper. At the time of the fire, it was used as a garden store.